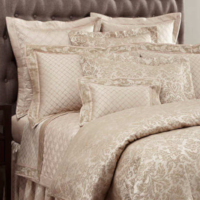 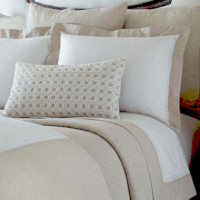 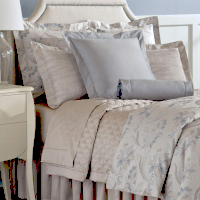 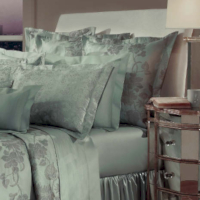 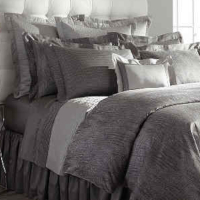 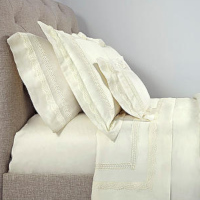 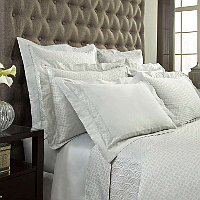 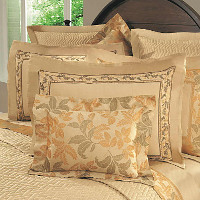 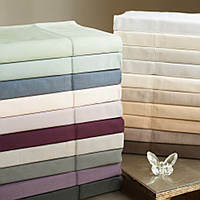 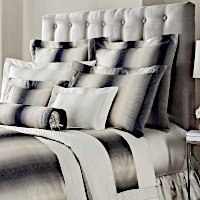 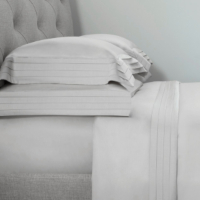 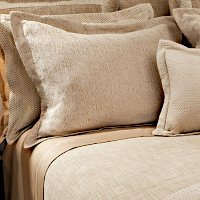 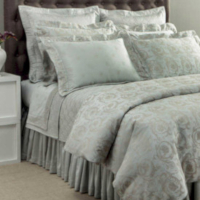 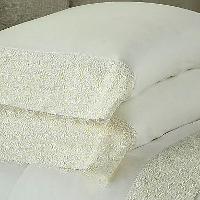 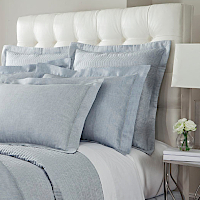 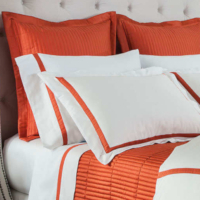 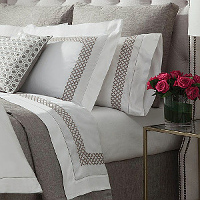 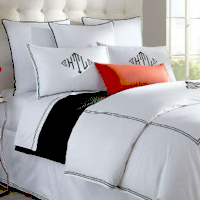 Home Treasures' collection of fine bed linens are designed to please the most impeccable tastes. 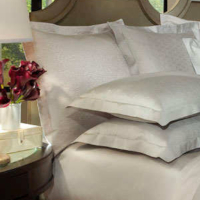 DefiningElegance.com displays information on their bedding to help you customize and design each bed specifically to your preferences. 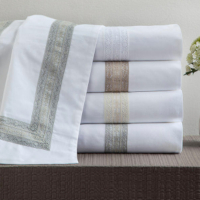 We combine their high quality textiles, with the most elegant designs and the best manufacturing standards to ensure our customers satisfaction. 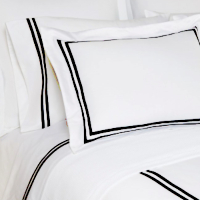 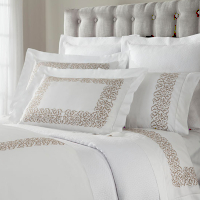 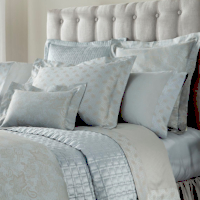 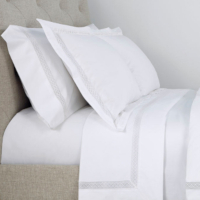 Their bed lines are custom finished with a choice of hand guided hemstitch, embroidered scallop, satin stitch or classic plain hem. 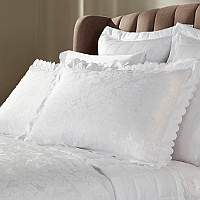 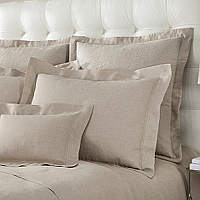 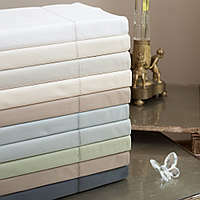 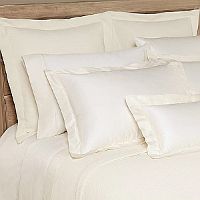 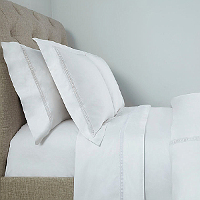 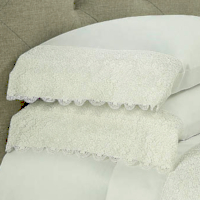 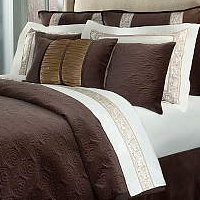 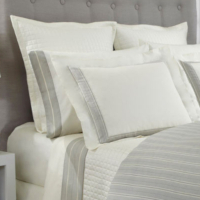 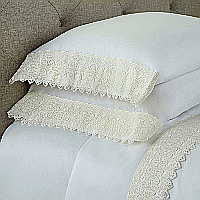 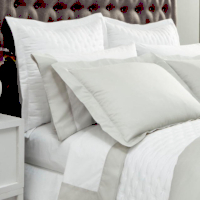 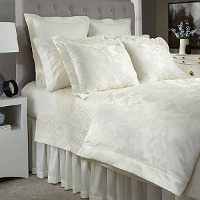 Custom bedding includes duvets, shams, flat sheets, fitted sheets, and dust ruffles. 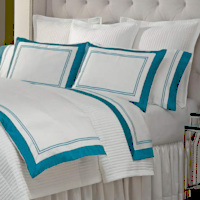 DefiningElegance.com staff can work with your custom bedding and decorating needs with the many available fabrics from Home Treasures. 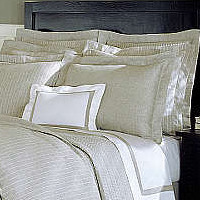 Custom sheeting needs (including duvets, shams, decorative pillows, etc.) 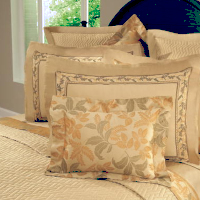 can be fabricated to your specific needs or as shown on the displayed collections. 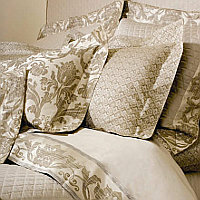 Most bedding can be completed within two to three weeks. 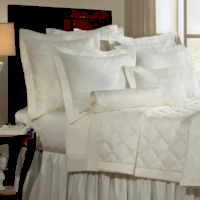 Quilted bedding can be completed within six to seven weeks. 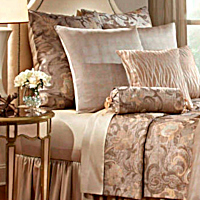 Please contact us if you have any questions or specific needs.